There has been a fear that the swine flu vaccine, Pandemrix, would increase the risk of autoimmune diseases other than narcolepsy. However, a new study of children from Sweden and Finland shows that the vaccine increased neither the risk of developing autoantibodies against insulin-producing beta cells nor the occurrence of type 1 diabetes. “On the contrary, the risk was reduced among vaccinated children in Finland, which is something we will now investigate further,” says Helena Elding Larsson, researcher at Lund University and physician at Skåne University Hospital, who conducted the study. 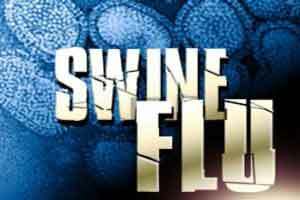 From October 2009 to March 2010, mass vaccinations against swine flu (H1N1) were performed in Sweden and Finland. It turned out that, in some people with a specific genetic variant, the vaccine, Pandemrix, caused narcolepsy and this generated a lot of discussion as to whether other autoimmune diseases may be induced by the vaccine. Certain studies show that the number of patients with type 1 diabetes may have increased since the vaccinations took place. The researchers, therefore, wanted to study whether the vaccine also increased the risk of developing autoantibodies against beta cells in the pancreas and the occurrence of type 1 diabetes. There are similarities between the diseases. In patients with narcolepsy, their immune system destroys the hypocretin cells located in the brain, which are important in order for them to stay awake. In type 1 diabetes, the body’s beta cells are completely or partially destroyed and thus cease to produce insulin. The presence of autoantibodies is a sign that the destruction has begun and is a precursor to the disease. The results of the study showed no relation between vaccination and an increased risk of developing autoantibodies or type 1 diabetes. On the contrary, in Finland, fewer children developed autoantibodies after being vaccinated, and the results even indicated a reduced risk of type 1 diabetes. “It’s interesting how the results differ between Sweden and Finland. It makes you wonder whether earlier influenza vaccinations given to Finnish children may have helped give them increased protection,” says Helena Elding Larsson. Several previous studies have indicated that the number of patients with type 1 diabetes may have increased since the vaccinations took place. These studies have been questioned as the genetic variant required for narcolepsy protects against autoimmune type 1 diabetes. However, a previous study has shown that in a particular group of children under the age of three with a specific genetic variant, the risk of developing diabetes after having received the vaccine was reduced. One assumption is that the vaccine may have delayed the onset of type 1 diabetes in this particular group of children. However, these studies were conducted shortly after the vaccinations were given, and only examined the number of patients who became ill and not the presence of autoantibodies. “It takes several years to develop type 1 diabetes, and autoantibodies occur long before the actual illness, which is why it is possible that any reduction or increase in the disease may have been missed,” says Helena Elding Larsson, adding that this is the first study to investigate the presence of autoantibodies in relation to the Pandemrix vaccine. Finland has the highest rate of autoimmune type 1 diabetes in the world, followed by Sweden. The study comprises 3 401 children from Sweden and Finland who are part of the so-called TEDDY study, and was conducted in 2016, i.e. at least six years after vaccinations were administered. The children in the TEDDY study are monitored from birth until they turn 15. “We need to conduct further studies in order to investigate the relationships between influenza infections, vaccinations and the development of autoantibodies,” says Helena Elding Larsson.